BBC Director, Radio & Education James Purnell says he would like to see an official way to measure the popularity of podcasts. Blogging after a few weeks of popular 5 live podcasts covering the World Cup, he says it would help commercial podcasters and distributors speak about their value to advertisers and let the BBC measure the value it’s getting from the licence fee for audio content and services. James says the BBC has already started talking to colleagues at Apple about how to do it. 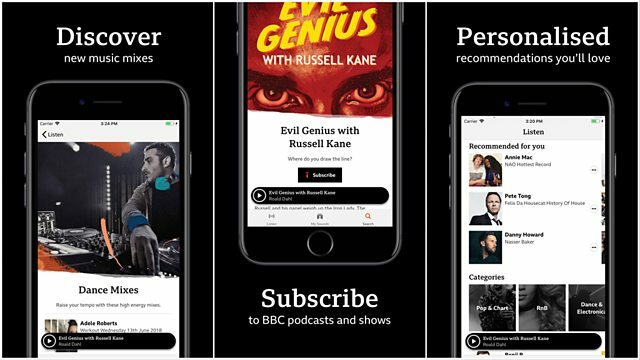 A new BBC app, BBC Sounds, has just had its soft-launch and is expected to be the place to experience all BBC radio, audio and podcasts in the future. “A couple of thoughts, after weeks of loving 5Live’s World Cup Daily podcast and launching BBC Sounds. The latter was a preliminary release. We’re getting real audience data and lots of feedback, which we’re using to iterate the product, ready for our full launch later in the year. The brilliant Kelly Cates, Mark Chapman and team have had a lot of fun bantering about their competition with the Love Island podcast (congrats to Matt Deegan’s Folder & Co for that one…). Who would be at the top of the iTunes podcast chart each day? I’m from the generation who spent Sunday evening with our finger hovering over the record button on radio cassette players waiting to see if Bruno Brookes would play the latest chart entry from our favourite band so we could record it. I realise elements of that sentence won’t mean much to anyone under the age of 40. That said the Official Chart show presented by Scott Mills on Radio 1 still has teenage digits hovering buttons – it’s just that they’re the virtual buttons on their social media apps so they can share their excitement or disappointment with other fans. We see a huge upsurge in engagement on social media when it’s on air, especially when artists respond to their chart positions. Charts can reflect the mood of the nation. Novelty songs used to do well in holidays seasons. As the nation marks the 70th anniversary of the NHS, This is Going to Hurt, Adam Kay’s record of his time as a junior doctor, tops the Amazon book charts. The official top 40 measures sales; streams and downloads as agreed with the music industry. But none of the other charts are industry standard. They indicate what’s trending which is great for audiences but content creators and distributors want to know reach and value. For live radio we have RAJAR to help with that. As these charts become more and more important, we need a conversation in our industry about how we get an equivalent for podcasts – one which includes as many of the different ways that audiences are consuming podcasts, where we can all see all the data, and know how it’s been collected. That will help commercial podcasters and distributors speak about their value to advertisers and the BBC measure the value it’s getting from the licence fee for audio content and services.